I’ve met a lot of smartphone and tablet owners who would never put a protective case on their handheld no matter how often they scratch or drop it. 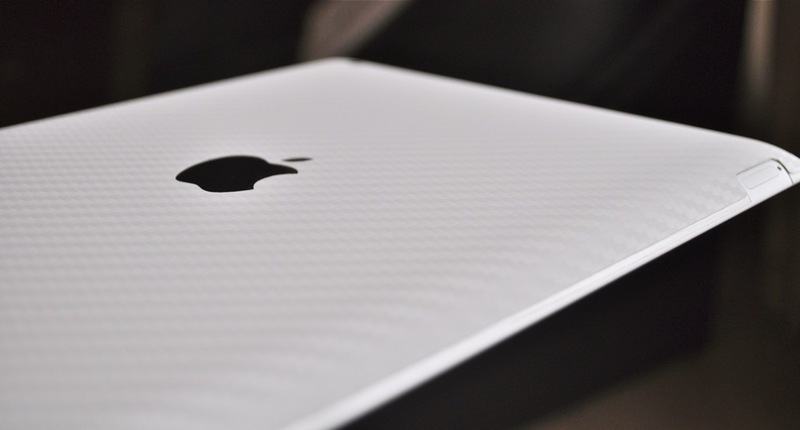 This is specially true for Apple’s super sleek devices as most people do not like to add any extra bulk to them and this is where the vinyl skins like iCarbons step in. 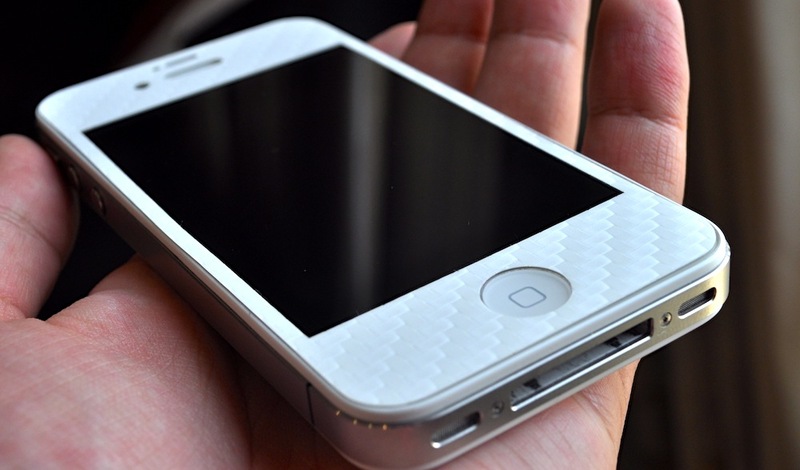 With their attractive looks and considerable protection against scratches, if not drops, iCarbons are pretty hard to resist. Check out our review after the break. Since this was my very first experience with a vinyl skin for iPhone or the iPad, I wasn’t sure if I would eventually like it on my devices but tell you what, I was wrong! 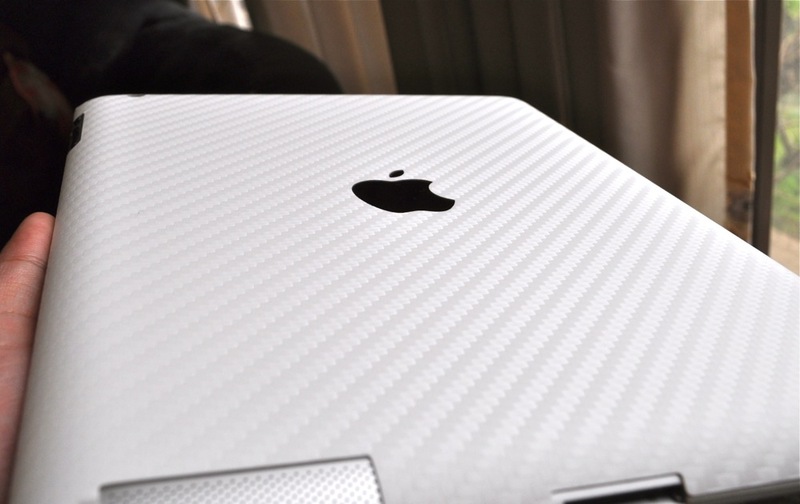 The quality and texture of the skins is pretty amazing. You simply cannot judge how good your device will look and feel in your hands by looking at the photos. You really have to try them out to find out! 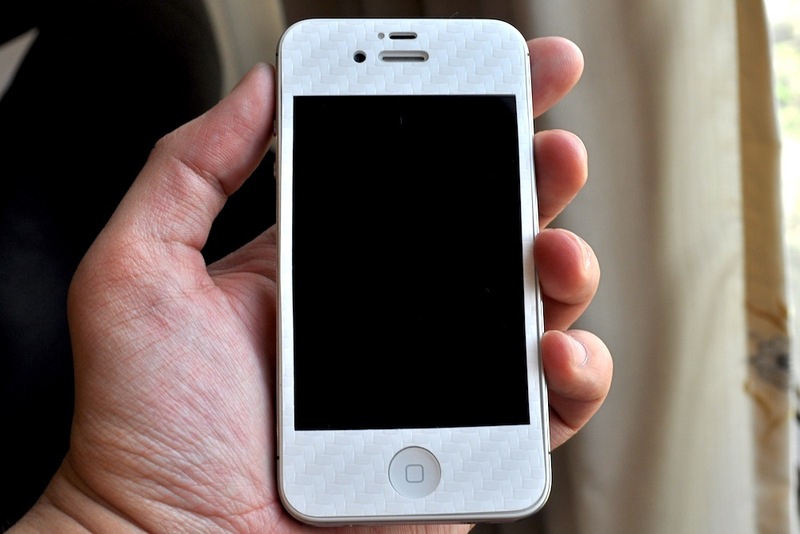 The samples I received were of total body skins in White Carbon Fiber for iPhone 4S and the new iPad. 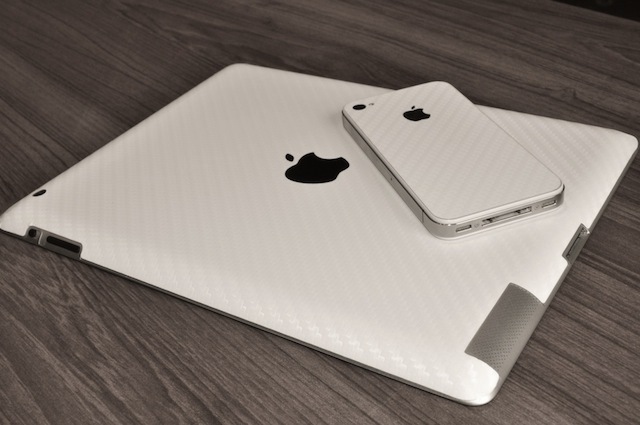 The same skins are also available in Black & Red Carbon Fiber as well as in a bunch of other cool options such as Wood, Brushed Aluminum and Brushed Titanium. The iPhone 4S skin came with a front, back, side, home button and black Apple logo insert while the New iPad skin had a front, back and two Apple logo inserts, one in Red and one in Black. 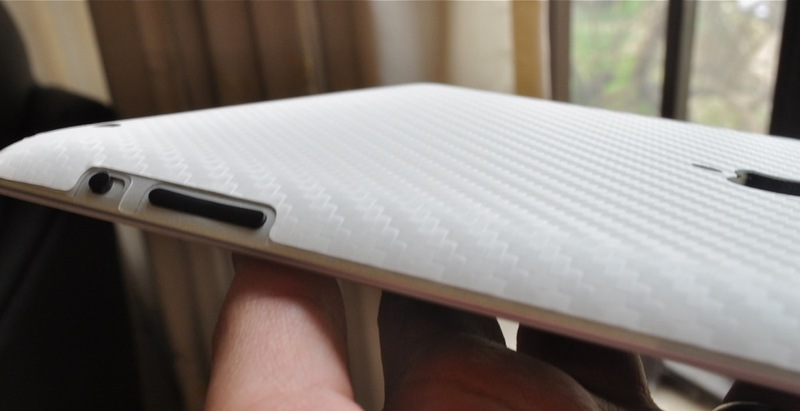 Tip: Try the Red logo insert on the iPad with White Carbon Fiber skin, it looks epic! 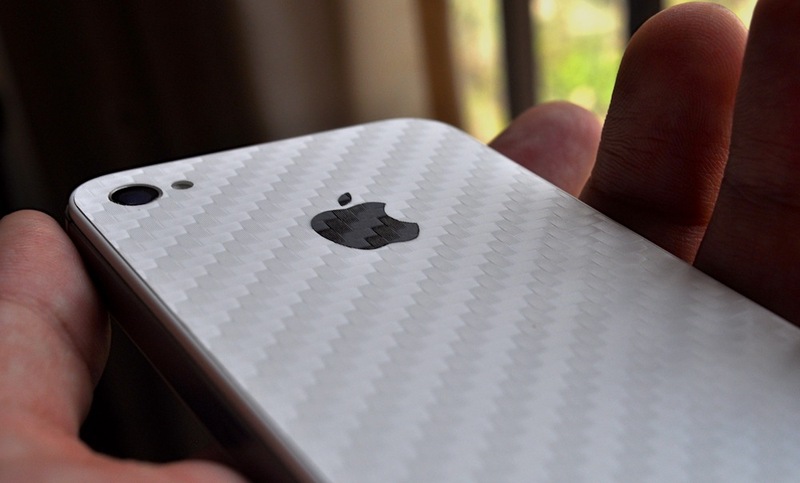 Applying the iCarbons vinyl skins is fairly easy. 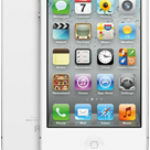 In fact, the process is much easier than applying a screen protector. 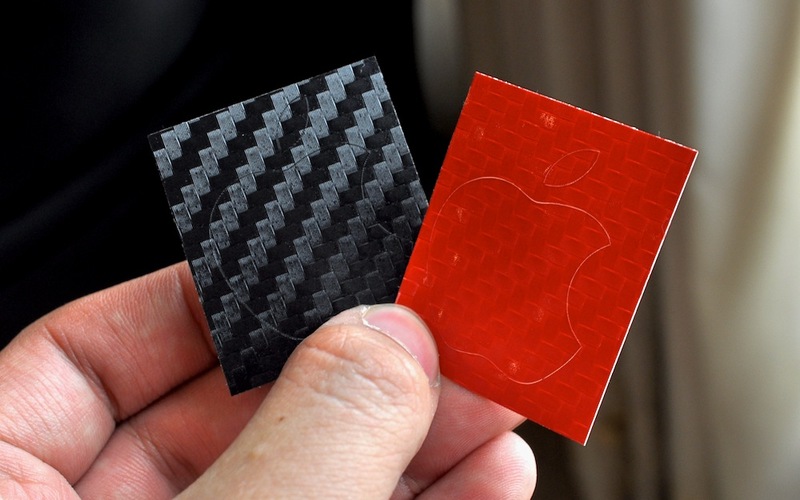 In case you need help, iCarbons has put up some really nice videos on their website to guide you through the process. 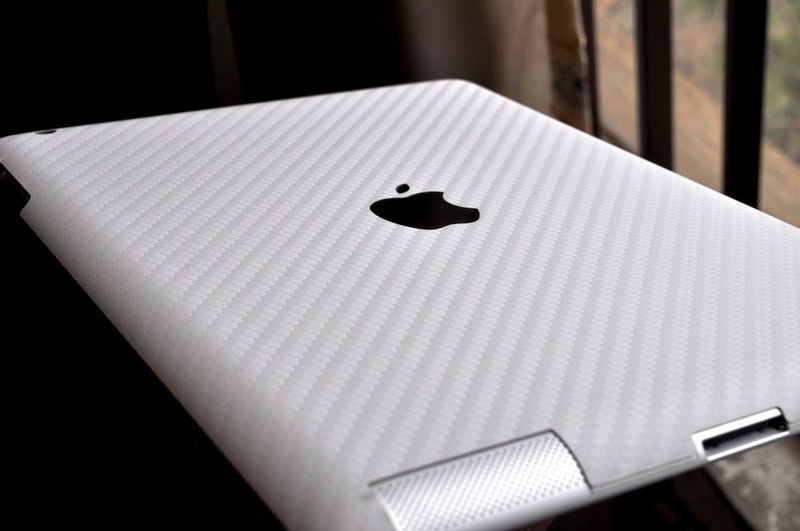 I do recommend all to take a look at those videos once, especially before applying the iCarbons on an iPad. The “edge-heating” part really does the trick. Once you’re done with the skin application, which shouldn’t take more than a few minutes, your iOS device will immediately become an eye catcher. 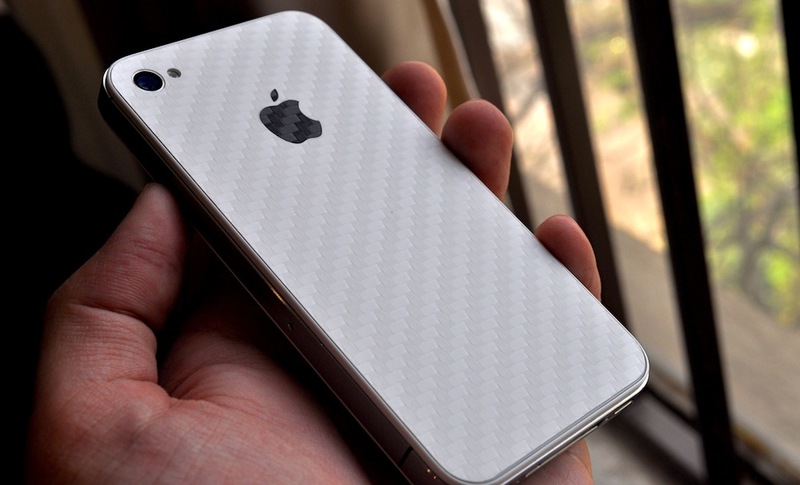 I don’t know much about other color options (though I intend to find that out pretty soon), the White Carbon Fiber looks insanely good. 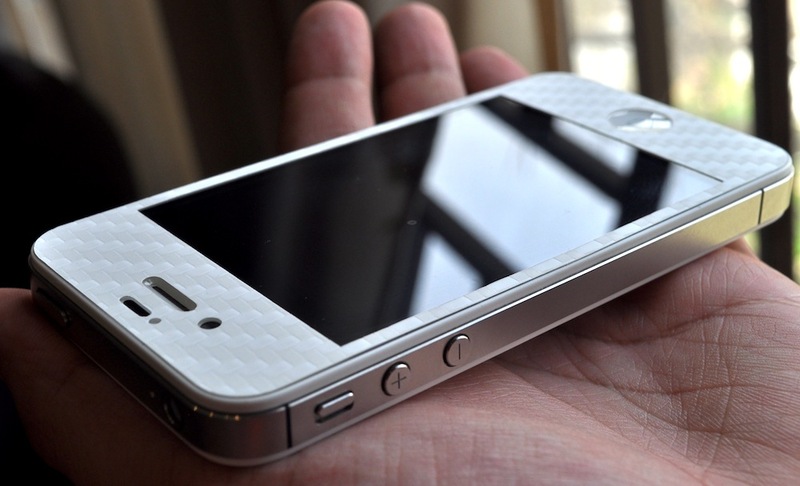 Like I said before, none of the photos here do justice to the beauty of White Carbon Fiber!